Montejo® — Mexico's classic beer — has been a staple of authentic Mexican cervezas for over 100 years. When the brand had its United States' debut, they implemented multiple events, giveaways, and promotions. As part of their multi-layered product launch, they wanted to include a compelling offer in packages being sold across the U.S. offer that would appeal to their target audience. This offer needed to fit into packaging easily without adding weight to the product. 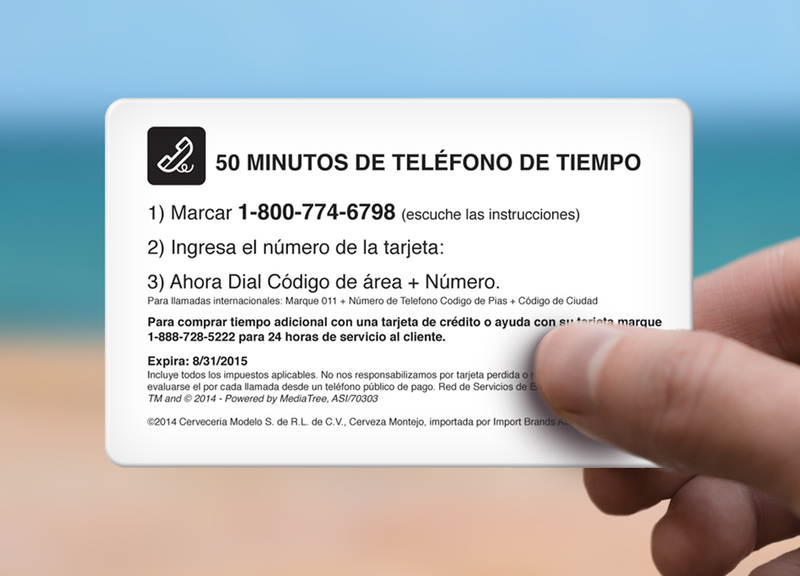 By including branded phone cards with 50 minutes of calling time, they gave recipients the gift of connected with friends and family, including those in Mexico. Plus, the naturally small calling cards fit easily in packages and due to their lightweight nature, they didn't add to shipping costs associated with transporting the packages coast to coast. 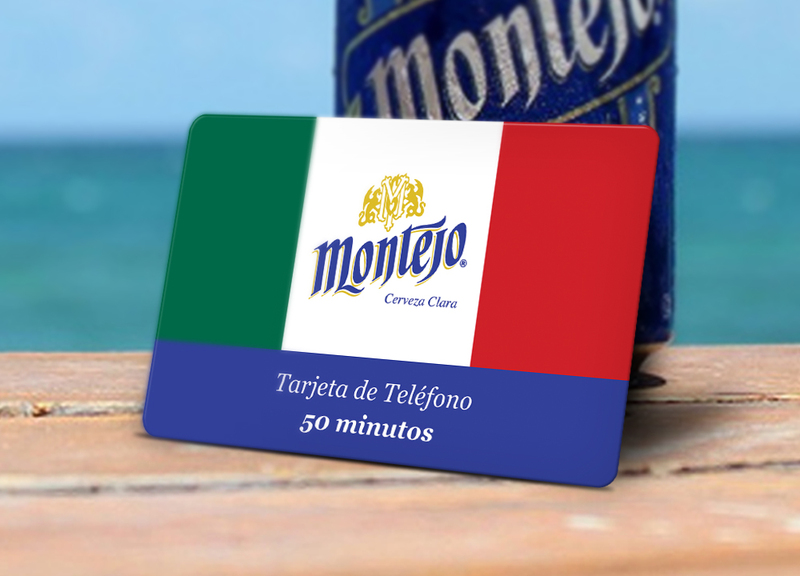 Allowing customers to connect with loved ones helped Montejo build brand loyalty. And including phone cards was a simple solution that was executed and implemented quickly and easily.